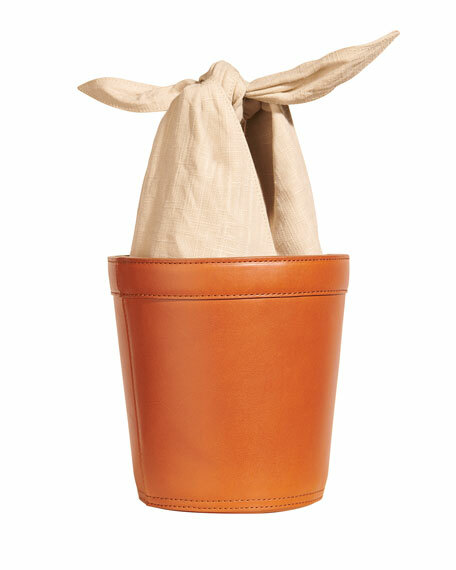 Staud calf leather top handle bag with linen trim. Self-tie top handle, 6.3" drop. 7.3"H x 7"W x 5.6"D.
For in-store inquiries, use sku #2579274. 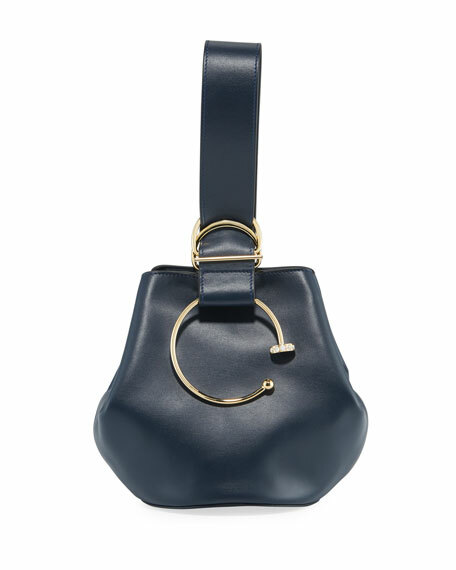 Fendi calf leather bucket bag in allover FF-embossing. Removable top handle secured at metal "F" rings. Removable thin shoulder strap. 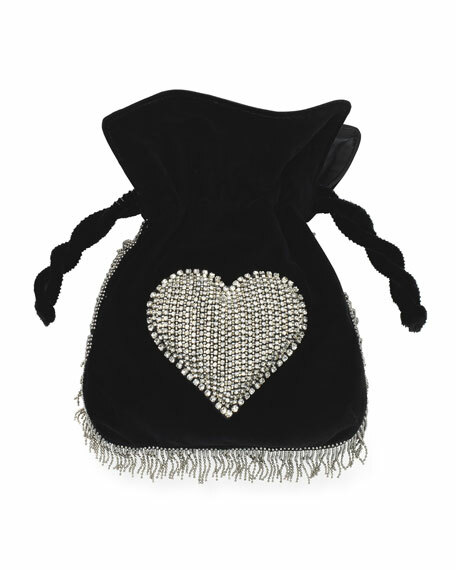 Open top with drawstring closure. 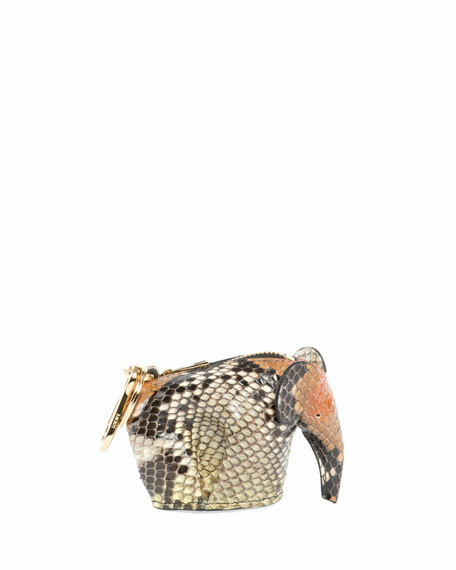 7.1"H x 4.7"D x 4"D.
Loewe elephant-shaped bag charm/coin purse in python snakeskin with calf leather trim. Lobster clasp with logo. Zip top. Key ring. Approx. 2.7"H x 5"W x 2.7"D. Made in Spain.